The BFSI sector is one of the leading sectors as far as innovation and technology adoption is concerned. In order to provide real-time customer experience as well as new-age digital channels, new strategies and models have to be put on the agenda of banks. They need to up their ante and move with the times. In this the role of a chief digital officer (CDO) becomes critical as they work with a horizontal view of the organization and in tandem with the CIO. They are the ones mandated with charting a well-etched digital strategy to help banks stay ahead of competition. In fact, digital transformation can only succeed if there is active collaboration of all the various stakeholders including the CIO. Deepak Sharma (DS), Chief Digital Officer, Kotak Mahindra Bank, speaks to Muqbil Ahmar (DC), Executive Editor, dynamicCIO in an exclusive interview on a variety of issues ranging from his unique role in the organization to the digital transformation journey underway at Kotak Mahindra. DC: A horizontal penetration of digital technologies in businesses has led to the creation of the Chief Digital Officer’s (CDO) role mainly to oversee the establishment of digital capabilities in the company. What were the reasons for such a role? How has it evolved over years? DS: In the context of the Kotak Mahindra Bank (Kotak), we started focusing on digitalization in 2014. We realized that digital banking means more than just automation, internet & mobile banking: which is what a lot of people typically consider to be digitalization. We realized that there is a need for synergies across functions and this is how the role was born. Digital has to be viewed as a cross-functional firm-level horizontal which brings in not only insights and new technologies but also how the strength and learning in one part of the firm can be leveraged in the other. In the last two and a half years, we have started having a more structured approach. The whole idea was to transform the core, build new and look at future ready technologies to create value for the firm. DC: The transformational nature of digital, especially in large companies which have a long non-digital legacy, mandates the CDO to fill a business role that addresses the outbound-facing employment of digital technologies unlike the CIO who heads the traditional IT. How is this co-existence coming up (if it is)? Where do you see the challenge? DS: The BFSI sector itself is at the forefront of technology, innovation and understanding the power of data & analytics and Kotak is leading the transformation. Traditionally, the focus of CIOs has been in creating digital assets. On the other hand, the role of a CDO comes into focus in leveraging those digital assets. It is a perfectly complementary role and both co-exist in a manner that creates value for the firm. Research, business model and strategy need an equally strong tech stack. A number of times investments in technology have to be supported by parameters such as the RoI. The role of digital is to make sure that there is perfect synergy in the organization and ensure a seamless experience for both customers and employees. We need to see how technology can make their lives simpler and easier. The roles play out as the disparate elements of an orchestra. DC: Should organizations have to necessarily carve the role of a CDO from the role of a CIO? How is the CDO’s role defined? What drives the initial need for a Chief Digital Officer? DS: The CIO’s role continues to be a strong technology-oriented role although they do participate in strategy at the firm level. As organizations change their shape and become more technology oriented, they will also need to relook at business models and strategy to keep them relevant and yield better customer proximity and centricity. A lot of these functions are not purely technology-oriented but cut across a number of other functions such as marketing, process, operations, business functions etc. Digital has to bring in the stakeholders to agree on initiatives needed to create organization-wide equity. These roles will continue to co-exist as long as organizations see that there is value that they are bringing to the table. However, organizations firstly need to have a clear roadmap of what they want to achieve. Digital is not a vertical but a horizontal role. It has to connect with the various parts of the organization. DC: Apart from being focused on digital Innovation, Evangelism, Advocacy, and Coordination, what are the new responsibilities of a CDO in an org? DS: In Kotak Mahindra’s context, there are three priorities: Transform the core. By this I mean how can we do our business more efficiently, create a better experience, and do it at a lower cost. This includes faster customer onboarding, better customer journey, weeding out redundant processes, etc. We look at each aspect and transform. The second part is developing new business models to create new experiences, products, and services such as 811, outward forex remittance, etc. The third part focuses on ways and means to create future ready initiatives such as working with new technologies, fintech partners, and innovative solutions. The focus is on how we can scale our existing businesses or launch a new business. DC: Considering that digital projects often bypass the internal IT organization for the need of external support or establishing micro IT units within a business, how important is it for the CDO to manage the governance of digital transformation? Do CDOs need to work in close alignment with CIO? DS: For all our initiatives, we work closely with the CIO. Digital does not chart any independent path at a firm. Both the CIO and the CDO are complementary roles. The CIO best understands how to create the digital infrastructure, whereas the CDO looks at how best to leverage it, irrespective of where the idea comes from. There is perfect collaboration across the board: be it the development of new methodology, onboarding a new fintech partner, operationalizing new technologies, looking at innovative ways of development like APIs or micro-services. Though we work jointly, it does not mean that there is agreement on everything. There is a healthy discussion on the process which helps us understand each other’s perspective. 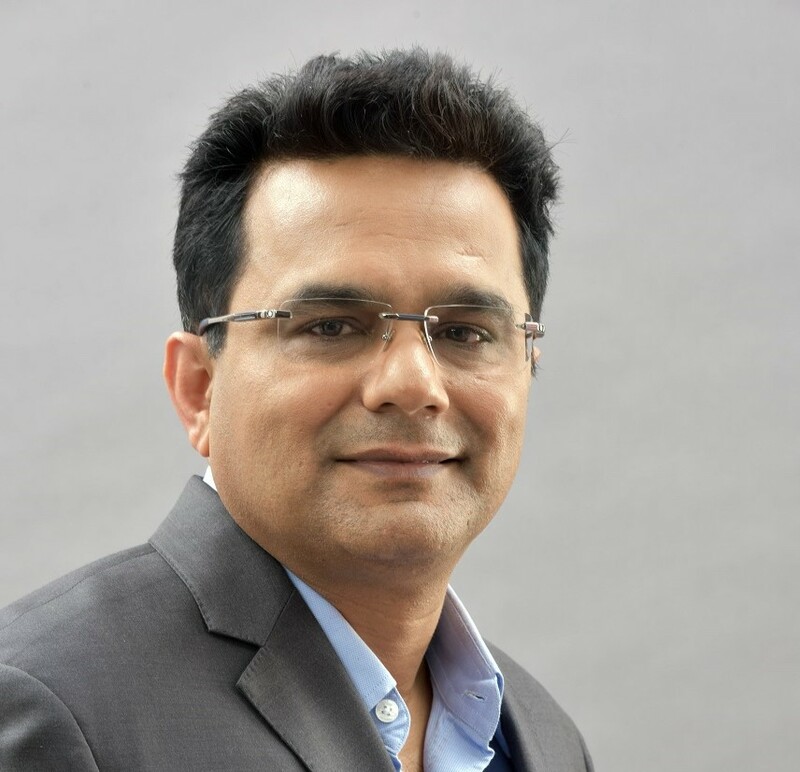 Changing gears, Deepak Sharma also talks at length about what and who drives digital transformation, innovations in business model as well as future-ready initiatives of Kotak Mahindra Bank. Under his leadership, Kotak Mahindra Bank has launched several innovative products and initiatives like 811, API Banking, BYOD Biometric Banking, Robotic Process Automation (RPA), among several others. DC: Kotak was perhaps the first NBFC in India to convert into a scheduled bank. From 1985 when banking meant Branch, to 2018, where we have absolutely branchless, totally digital banks, how do you see the growth, evolution and performance of Kotak Mahindra Bank? DS: The growth of Kotak Mahindra Bank is for everyone to see. I will not dwell much on that. What is exceptional with Kotak is that we always keep changing with the times. At times, we have had the foresight to see how some events will unfold in the future: be it in terms of which businesses to scale up, which business models will be relevant, or technologies that will become mainstream. All this has been fueled by a hunger on the part of the bank to stay ahead of competition. We have always believed in staying hungry like a startup. Despite being a large organization, our hunger and persistence has kept us in good stead. We are always on the lookout for new organic growth opportunities. DC: Let’s directly come to a question of how digital initiatives have impacted the Bank: From horizontal digital channels creating value for different customer segments and business verticals, to offering innovations, and customer experience, give us some key examples of initiatives taken in those directions. DS: Transformation is a large part of our focus because we see a lot of value there. For example our initiative such as Bring Your Own Device or BYOD based biometric account opening is based on the understanding that applications need to work on any device, whether internal or external. That helped us in increasing our customer acquisition rates and helped our productivity grow by 100%. The account opening time which used to take 6 to 8 days has come down to 30 minutes. We look at transforming each aspect of the journey. For example, we took the same journey and looked at how to apply it for the rest of the customer’s journey with the bank. Through 811, you can open a bank account in 3 minutes. We took the journey a little further. Why not offer a credit card to the new-to-bank customer? Within 811, we built an instantaneous credit approval system. On the basis of your CIBIL score we offer you a credit card if you are eligible. So a customer can apply for an instant credit card during the same bank account opening journey. There used to be an entire paper-based process if a customer wanted to update his details with the bank. It involved multiple processes. Not anymore. We connected our APIs directly with our core systems. This helps in getting information updated in real time. Processes became efficient. We have automated a large part of our credit decision making processes through a set of algorithms where decision making is much faster. We keep thinking of ways to do things faster, more efficiently, and in a paperless manner. Similarly, we noticed that people spend a lot of time on social media such as WhatsApp. We launched banking on WhatsApp. Today, we have 30 odd features, including key banking activities that customers can perform over WhatsApp. DC: We are in the age of APIs, and Fin-tech companies that provide a lot of easily pluggable solutions for banks. How is Kotak working with new Fin-tech companies in areas like automation, artificial intelligence, and block chain? Can we have some specific examples? On RPA, we work with a couple of partners. For example, we are working on cognitive OCR solutions for better readability and understanding of documents. On the credit automation side, we work with Finfort, which helps us extract credit data. RupeePower is our partner for credit decision making solutions for unsecured loans. We work with Active.AI for our conversational bot journey. Similarly, there are other future ready initiatives which include collaborations. We have partnered with 100 plus startups in areas such as blockchain, Artificial Intelligence (AI), Machine Learning (ML), UPI 2.0 to co-create products and services. We have partnered with the likes of NASSCOM through our APIs. We have also partnered with Ripple for cross border remittance. Our innovation lab in Bangalore looks at models and feasibility. All these are areas in which we see value. DC: Kotak’s ABCD Charter seeks to make banking a more accessible and rewarding experience for customers by integrating technology, design and customisation across products and services. Where A means AI-enriched App, B means Biometric-enabled Branch, C means Context-enhanced Customer Experience and D means Data-empowered Design. Can you explain this and how does the bank plan to use these in its future roadmap? DS: Let me go through all this in a step-by-step manner. AI-enriched App: Artificial Intelligence is not only about front-end customer interaction like bots and conversational inputs. It can also be a way to look at data patterns and make sense of inputs such as voice, text, images, and unstructured data. We are re-architecting. We are going for an AI-first strategy for each of our applications, be it mobile banking, internet banking, micro-services or the way we leverage our data stack. This is something similar on the lines of a mobile-first strategy which we had started 3 years ago. We are looking at how to make the entire process enriched with AI. That is where the entire cognitive OCR solution came into the picture. Internally, we have MIS and dashboards. Our AI-powered dashboards are self-learning. Across the firm, whether it is operations, architecture or applications, we are incorporating Artificial Intelligence. Basically, we want to leverage the huge mine of data. Biometric-enabled Branch: We are among the top 3 banks in terms of the number of times we access the IndiaStack today. The scale at which we operate shows we have adopted biometric in a big way. We have leveraged biometric not only for customer onboarding but also for authentication, lending, credit, Aadhar-enabled payment systems, etc. Context-enhanced Customer Experience: We are looking at transforming each of the customer journeys in order to enhance customer experience and satisfaction with our products and services. Data-empowered design: We have invested significantly on key data stacks like data lake and data warehouse. The whole focus is to start generating insights which will help us in designing new products and solutions. For example, while 811 is a zero balance account, around 60% of our 811 customers are salaried customers. They are credit worthy customers to whom you can offer an asset product. We provided them with their CIBIL score and weaved in applying for a credit card in the same flow.